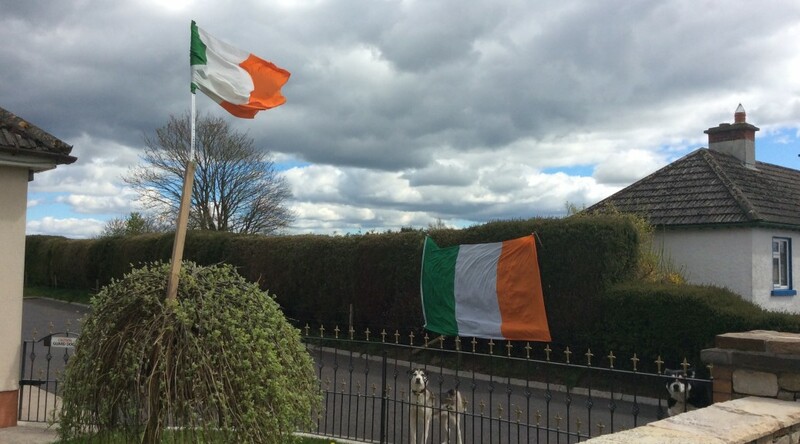 Arthur in the Irish Republic-Machine Sales +Spare parts. These companies need regular supplies of various grit sizes of honing powder, grinding and polishing wheels, files, diamond dressers etc The list is endless. Most grinding shops have bought sharpening machines from Arthur for Saw Blades, Professional Scissors, Clippers and Knives. Much of the time Arthur is invited to stay in the homes of these customers. Customers adviceSales of MachinesSales spare parts. Today I met Michelle Carter- the Manager- last time I met Michelle was in Naples, Italy. She is a lovely, vibrant person & very hospitable. Later I met Ales Worthington- Senior Stylist, Then I sharpened and serviced all their very professional, expensive scissors and their clippers. I also met Maria Escudero, a young and pretty Spanish lady and also Lee Buckley. I did quite a lot of work for them all and as usual INSISTED THEY ALL TEST THEIR SCISSORS BEFORE I LEFT as I would not be in their area for at least four weeks. 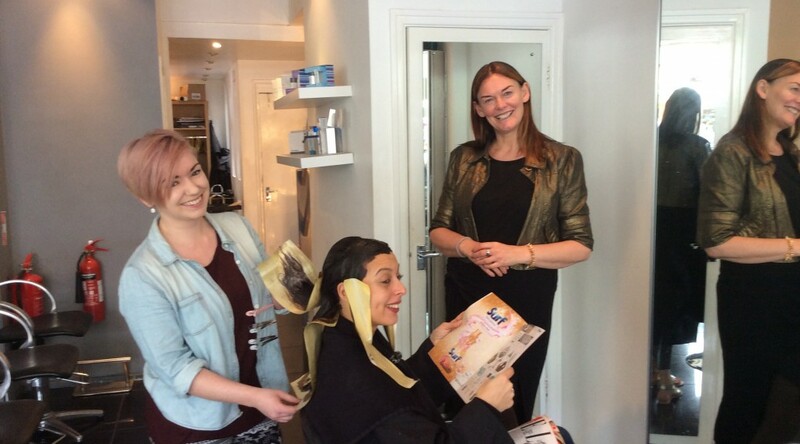 They all accepted my advice as they had clients there and my head of hair was available to ! So all in all a very satisfactory visit….. Lovely kind, warm and sincere people. Next time I visit this area I will make it my way to see Morgan Andrew Rigby-Hair Stylist “extraordinaire” and an old friend and customer. Always a pleasure to visit this special customer who has become a friend. 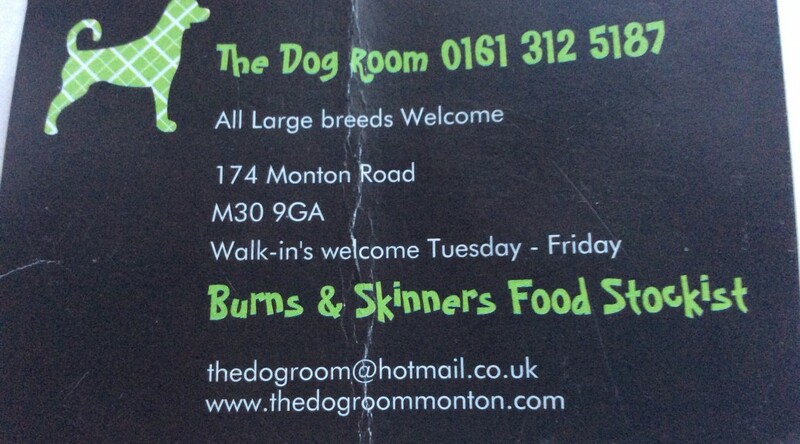 Alison is the owner of this busy business on Monton Road Eccles, Manchester. I have kept Alison sharp for several years. She uses a variety of dog clippers, including my own that she purchases from myself (FGP) , Oster, Andis & some Wahl. She also bought a variety of FGP Scissors and thinners. On this quarterly visit I sharpened and serviced sixteen clippers and five of her scissors. A good coffee was offered to me as I walked in through the door. Alison’s business like all groomers relies on extra sharp , professionally set up tools. She works with her well trained assistant – the two of them seem to “gel” perfectly and in my opinion they have a fantastic relationship with all breeds of dogs. Drank my third brew had a sandwich and left them ready to attack their day’s work. Everybody happy………as usual. 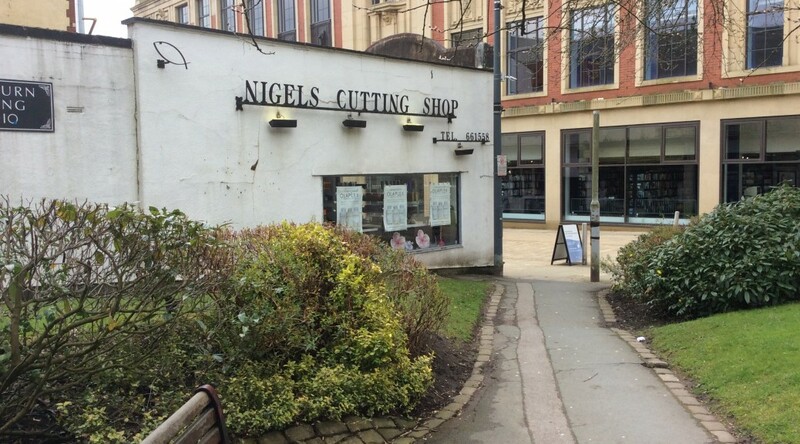 I have been SHARPENING and SUPPLYING SCISSORS here for several years. This is a busy salon with approximately eight hairdressers . It is owned by Nigel Womack and managed in his absence by AlexanderHannon. Both very happy, positive men. Of course, Nigel is quite a character as, has been seen on television ! The salon is almost always full. They needed several pairs of professional scissors to be serviced and sharpened plus thinning scissors. Most of the hairdressers use scissors supplied by my company FGP (Frankland Grinding Products). 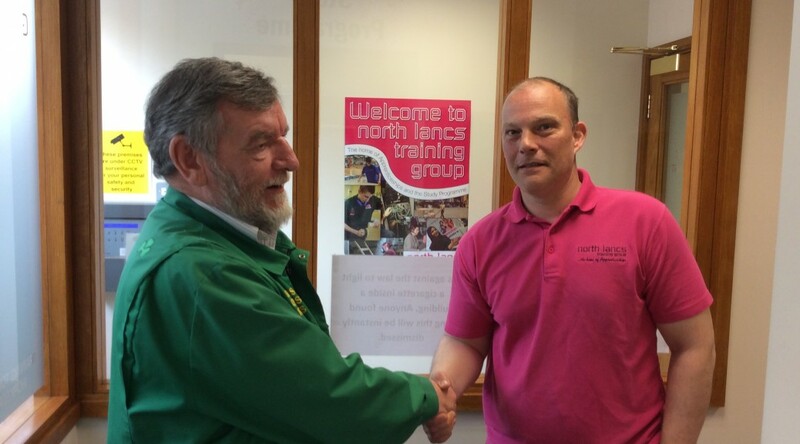 Today I visited, upon request NLTG to sharpen a lot of knives- they have a big kitchen. Jim Harkness M.B.E. Is the Managing Director. A man for whom I have lots of respect. I was met by Jason Slater and Heidi Pearce. -both are hospitality tutors, they are in charge of the kitchen. Because this “college” teaches many skills, such as-Catering & Hospitality , Furniture Occupations, Upholstery, Food Manufacturing etc they obviously use many tools which need to be sharpened. e.g. All types of scissors, knives, circular saws (tct) etc I am often called upon. They needed me to sharpen some 34 knives and subsequently hone them. Was treated to a great cup of tea and their home made cake ! When Jason & Heidi were happy, I was paid for my visit and went merrily on my way to sharpen some Dog Clippers. “Elle” being the owner of this very successful business had asked me to come in and Sharpen a variety of scissors. Elle makes Wedding Dresses etc so she uses relative types of scissors-seamstress -sewing-pinking scissors long and short -lighter and heavy scissors. Got myself set up with the Wolff “Twice as Sharp” (we are the European Distributors for this machine) , tools at he ready. First of all I did cut tests to see the specific parts of each scissor which were blunt. I sharpened , polished and honed each blade. Cleaned and oiled them. Did a second cut test and invited Elle to test them. She was very happy. Finished my coffee, gave her my receipt for payment and left another happy customer. 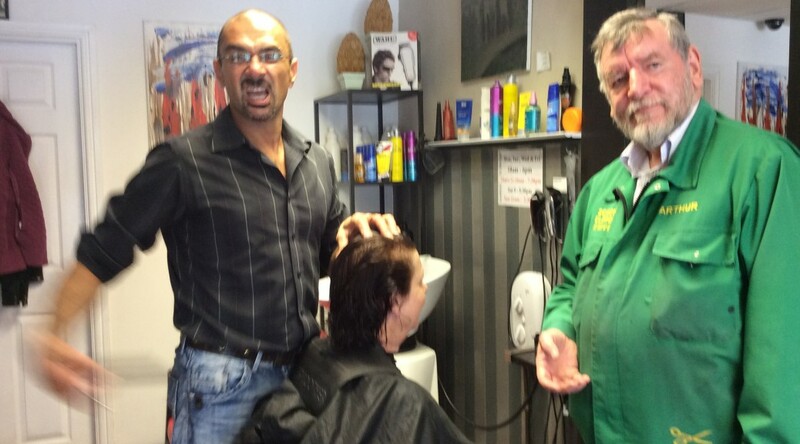 I have been servicing “Jo’s” Barber shop for many years. I even sharpened and supplied him with scissors at his previous location some fifteen years ago. 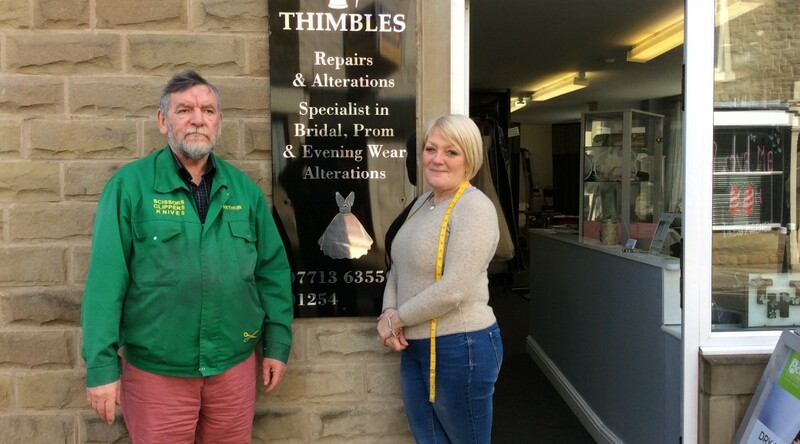 I particularly like doing work for him because he is kept constantly busy , therefore he uses his cutting and texturising scissors immediately with his clients. Also Joelikes me to have a constant supply of “Wahl” combs and cutters (clipper blades). Unlike some barbers he likes to fit the blades, after oiling into the head of the clipper. He also, periodically buys new Japanese Cobalt or Titanium Scissors. Every Hairdresser or Barber has different preferences when choosing a scissor, such as lighter ones weighing not less than 50grammes up to heavier ones , up to 65 Grammes. Also there are some five different lengths ranging from 4 1/2″ 5″. 5 1/2″. 6″. and nowadays 6 1/2″ plus the added factor of left handed scissors in all these weights and different lengths. So FGP keep in stock very large numbers of scissors. Everything done successfully , having drunk Jo’e’s excellent coffee. I left-Joe happy working away- me happy. A la procaine visite !! 1. To show my huge range of groomers scissors in Stainless steel, Japanese Cobalt and Titanium . 2. To show our range of Dog Clippers. 3. To repair and sharpen their clippers and scissors. Some pet lovers clip their own dogs, so this is an ideal time for them to leave their scissors and clippers for repairs whilst they watch the best of breeds competitions. 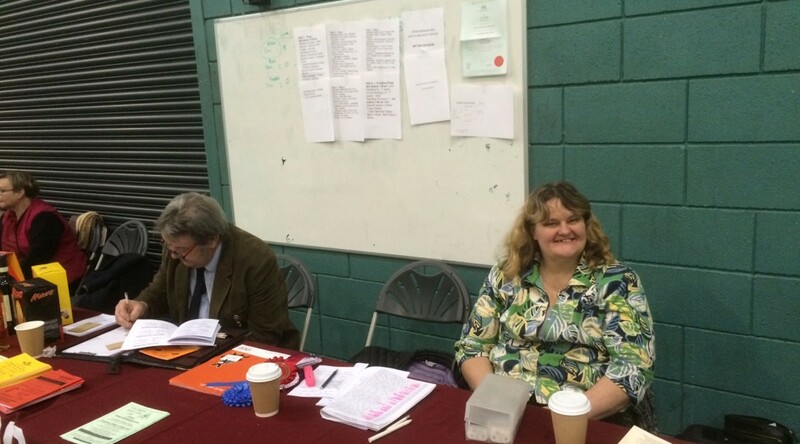 I was kept busy from around 10 am until 3 pm. Everybody happy so I returned home as it was Easter Sunday. 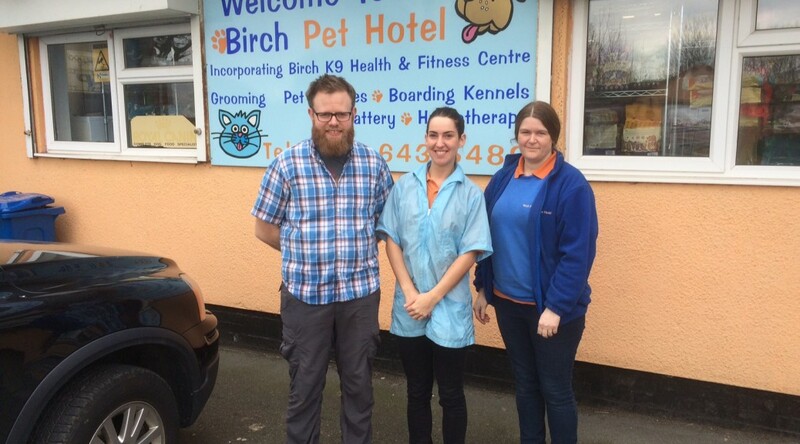 On Friday 18 March I visited Birch Pet Hôtel in Heywood Lancs by the M66. I was met by Robert and Mary. The purpose of this visit was to sharpen/service their Aesculeps Dog grooming clippers and sharpen several scissors. During this time I received their excellent hospitality. Really nice genuine people. I then showed them my range of scissors and clippers. They bought two quality scissors at excellent prices. Robert booked me in for another maintenance visit in three months. It is advisable for clippers and scissors to be re-sharpened in a busy groomers every 3 months. All work done everybody happy-until the next time! Every three or four months I visit Gemma and colleagues to sharpen their scissors and clippers-Andis & Oster blades. I also supply new clippers and scissors. This was a very busy visit as they had lots of blades and it had been difficult to get there due to the bad weather etc. Tested all their blades,as usual before handing them back- they all functioned perfectly. 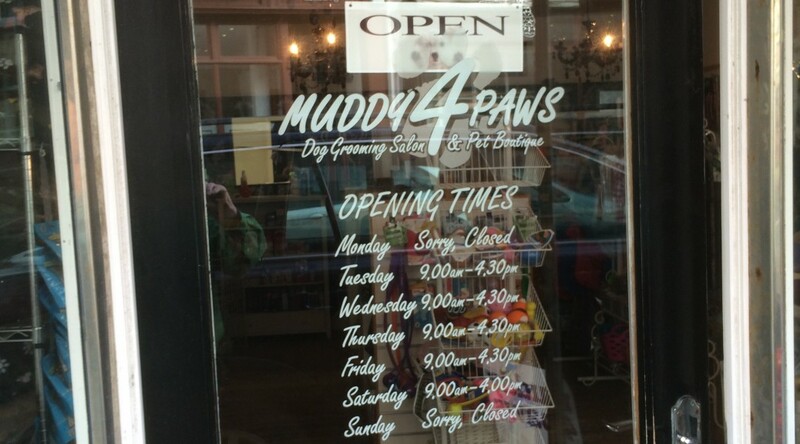 Muddy 4 Paws are moving premises soon. Everybody happy so I took to the road.